Check out Lego master Alex Eylar's amazing creations side-by-side with the movie stills that inspired them. The Lego Movie was a huge hit earlier this year, grossing more than $442 million worldwide. This 12 minute silent film was one of the very first blockbusters. D.W. Griffith's Civil War era epic was blatantly racist, but pioneered many filmmaking techniques still used today. Comedy legend Harold Lloyd starred in this romantic comedy which was added to The Library of Congress' National Film Registry in 1994. "The Man of a Thousand Faces," Lon Chaney, starred in what was one of the first horror films to become a hit. Charlie Chaplin wrote, directed, and starred in what the American Film Institute (AFI) called the greatest romantic comedy of all time in 2008. This classic is widely regarded as the best film ever made by the legendary comic team, The Marx Brothers. The screwball comedy won Academy Awards for Best Picture, Director (Frank Capra), Actor (Clark Gable), Actress (Claudette Colbert), and Screenplay. An epic romance set in the 19th century South, it won 10 Academy Awards and is still the highest grossing film of all time when adjusted for inflation. Legendary director Alfred Hitchcock directed Cary Grant and Joan Fontaine in this acclaimed psychological thriller. 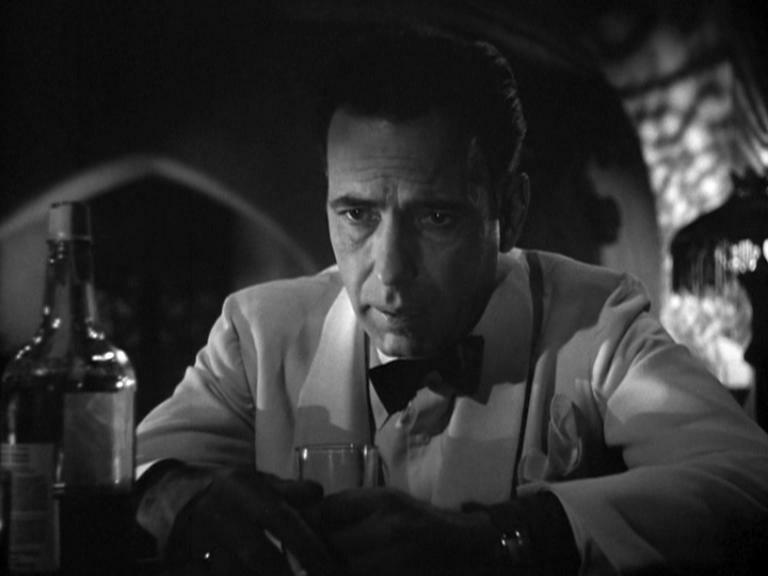 Humphrey Bogart starred in this romantic drama famous for the classic lines "Play it (again), Sam," "Here's looking at you, kid," and "We'll always have Paris." AFI selected this Gene Kelly classic as film's greatest musical. The shower scene in Alfred Hitchcock's horror favorite is among the most iconic in film history. This was the first of 23 films to be made about the British secret agent, James Bond. Legendary filmmaker Stanley Kubrick wrote and directed this prescient sci-fi film. Paul Newman and Robert Redford starred in this Western loosely based on real life outlaws Robert LeRoy Parker and his partner Harry Longabaugh. Francis Ford Coppola's mafia epic won Best Picture at the Oscars and spawned two sequels, parts II and III. Entertainment Weekly named this supernatural horror film the scariest movie of all time. Jack Nicholson starred in this mystery about the seedy underbelly of early 20th century Los Angeles. "Forget it, Jake. It's Chinatown." George Lucas' landmark film was actually Episode IV of a nine part series that will be completed in 2020. Martin Scorsese directed frequent collaborator Robert De Niro in this biopic about former World Middleweight Champion Jake LaMotta. Harrison Ford is now synonymous with Indiana Jones, but the role was originally offered to Tom Selleck, who was too busy with Magnum P.I. to accept. The famous line, "Say hello to my little friend," was growled by Al Pacino as drug kingpin Tony Montana in this highly influential crime saga. Michael J. Fox starred as the time traveling Marty McFly in this film and its two sequels, but only after the original Marty, Eric Stotz, was fired. 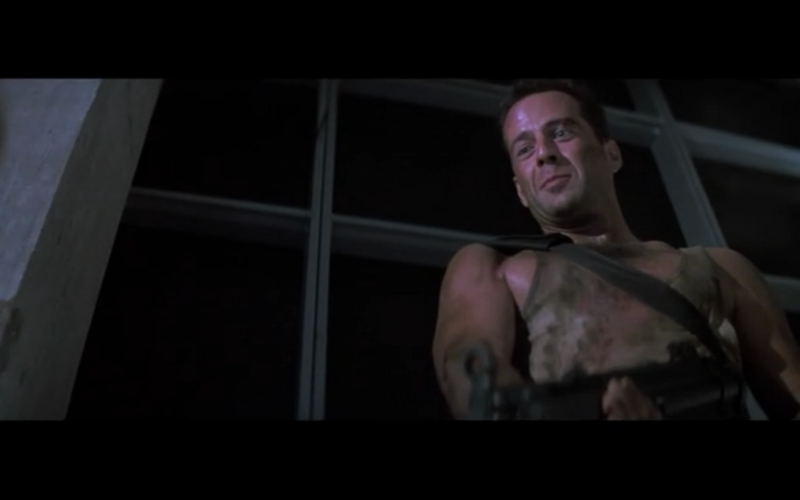 Bruce Willis starred as NYPD cop John McClane in what is easily the most imitated action film of the last thirty years. The Anthony Hopkins and Jodie Foster scarer was the first horror film to win Best Picture at the Academy Awards. This is the signature film of writer/director Quentin Tarantino, and revived the career of John Travolta. The Coen Brothers' cult classic has spawned "Lebowski Fest," an annual festival dedicated to all things pertaining to The Dude, White Russians, and bowling. Winner of five Academy Awards including Best Picture, Best Director (Sam Mendes), Best Actor (Kevin Spacey), and Best Screenplay (Alan Ball). A musical adapted from this film about an 11-year-old aspiring male dancer won ten prizes, including Best Musical, at the 2009 Tony Awards. This was the second of eight films adapted from the hit books by J.K. Rowling. Quentin Tarantino won his second Academy Award for this WWII revenge fantasy. Ryan Gosling sang and played the ukelele opposite Michelle Williams in this Sundance hit about the dissolution of a relationship. James Franco played real-life hiker Aron Ralston, who went to extreme measures to survive after his arm became trapped under a boulder in remote Utah. Annette Bening and Julianne Moore played a lesbian couple struggling to keep their family together in this Best Picture nominee. Christopher Nolan's brain twister starring Leonardo Dicaprio grossed more than 800 million worldwide, and won 4 Academy Awards. Amazing work, Alex! You deserve an Oscar (made out of Lego, of course). You can check out more of Alex's work here.